One 18 karat yellow gold hinged bangle. Forty-five single cut diamonds (0.27 carats: SI clarity: H-I colour). 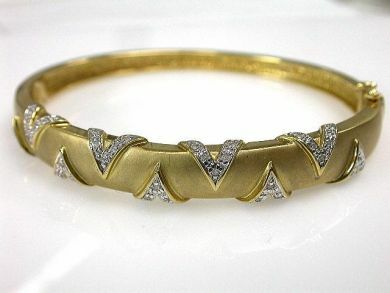 The diamonds are set in nine ‘V’ shaped patterns on the satin finish bangle.